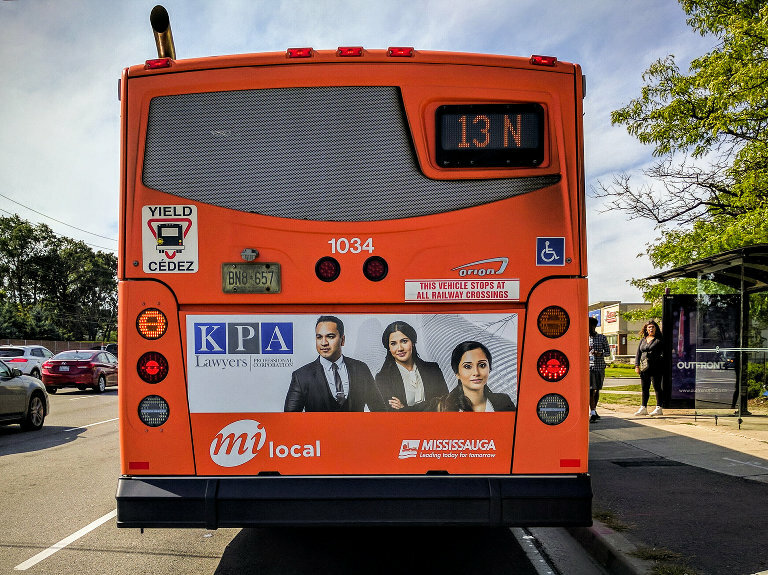 I was approached by KPA Lawyers to create a poster ad that would be featured on the Mississauga MiWay buses this summer. It was great working with their entire team and I captured headshots for each partner and associates in a studio. I look forward to seeing the ad live on the streets – keep an eye out if you ride MiWay. Here’s how it looked on the bus caught with my cell phone. It’s a wonderful feeling seeing your work printed.